We will dive in the tasks that will help you to get to know your target audience. This will help you to structure your website based entirely on your business goals matching your audience needs. 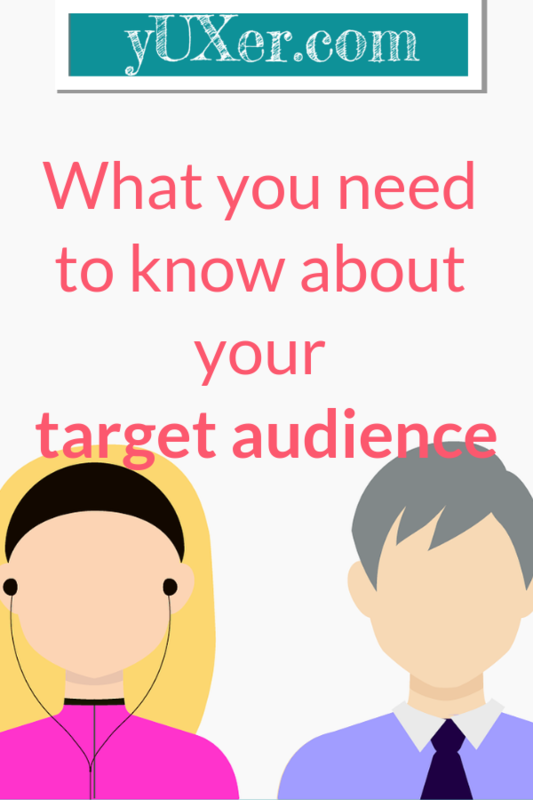 If you don’t have an audience yet, then this will help you to understand who could be part of your audience and what you need to focus on to get their attention. If you have had your website up and running for already quite some time you may have already an idea of who your audience is. But, how can you be sure that the audience you are attracting is the audience you think or you want to attract? It is recommended to review your audience at least once a year. Most likely things have changed in your website and this may have attracted or dismissed some of your target audience. Some springs ago, we were involved in a website redesign project where the audience was already identified, or at least we were told. The client was strongly convinced that they knew perfectly well who was visiting the website and what their needs were. Despite their beliefs, we performed a simple exercise with the idea of confirming the identified audience was still valid. We found that a lot of the characteristics of the audience were still, in fact, valid, however, one of the most unexpected findings were related to the age groups and the frequency of use of the client’s website. These two aspects had quite an impact on the features that were chosen for implementation on the new website, given the impact they have in the behaviour and preferences of these groups. The project would have had a different direction if we wouldn’t have put some effort on finding out (or confirming) who the audience was and most likely end up offering features that were not targeted to the client’s existing audience. 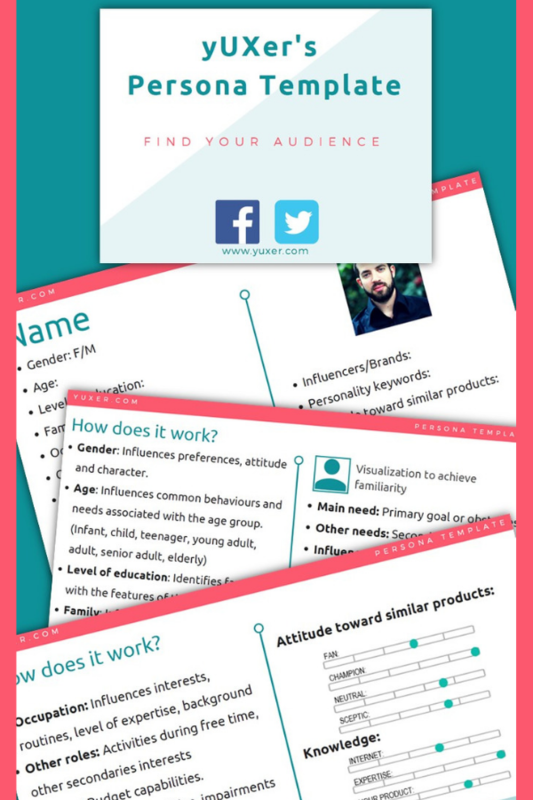 How to identify your target audience and define Personas? Collect as much data as possible about your website visits. Identify patterns of character and behaviour of your visitors. Define Personas or Avatars based on the information collected to use in your future decisions. Sounds easy? Yes, it is! If you have an audience this part will be much easier. 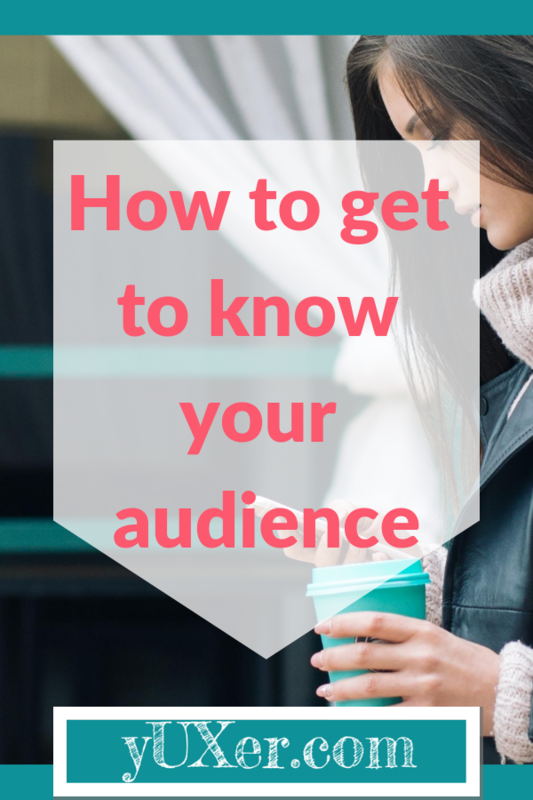 Since you already have an audience, you need to focus on getting to know more about them. You probably have a lot of data available ready to be analyzed. In the case of new products or websites, you will need to reach your potential audience. The data collection methods described below will give you options depending on where your product and audience is or could be at the moment. Web metrics is the primary source of information about what is happening on your existing website and it can give you a lot of insights into what your audience is doing and their preferences. To get to know your current target audience focus on location, devices used, popular pages, new vs returning visitors and referrers types. Location will give you an idea of how worldwide spread your target audience is and also an idea of which is their primary language. With this information, you also can deduct potential times of the day when they are online and need to consume your content. Have you considered a multicultural approach for your website? No matter how localized your business is, keep in mind that is out for the whole Internet to see it and potentially interact. Devices: This aspect will let you know which potential limitations your users may have in terms of screen size or browser compatibility. Are you providing an excellent experience for the types of device your visitors use? Popular pages: This basically tells you which content is your audience interest in. Does this match your business goals? This metric will give you only one side of the coin. You will need to find out what content is your target audience interested in but is not currently offered on your website. Perhaps you should offer additional content or perhaps no, this will only depend on how directly connected the content demanded is with your business goals. New v.s. returning visitors: Is the content that you provide made for frequent visitors? Are you providing enough guidance to your new users? This information will give you an idea of what type of content you will need to prioritize. Traffic sources: These can be direct traffic, social media, email or organic search. Depending on where your traffic is coming from you may want to consider to review your marketing strategy or provide more context when they land on your pages so they can find their way to the information they are more interested in. Your homepage may not be the most popular point of entry for your users. Therefore, you will need to make sure users recognize where they have landed and what you can offer them. Another source of data would be an email campaign that you have set up or have run at least once. Email campaigns are a direct channel of communication with your audience, you can reach to them at any moment and find out more about their preferences. Email marketing tools like MailChimp, Convertkit, or Mailerlite can already give you some details in regards to your audience behaviour and interests. A potential source of data is your social media channels or public forums in your niche, who are your followers, where do they work, age, gender, etc. Social media will help you on putting a more human face to your audience, you can collect complementary information about your target audience that you can’t see in other sources. A more targeted source of data is to launch a survey. With a survey, you can find out not only about who they are but how they behave. Always ask for comments. Give your audience opportunities to provide more insights, even if it’s just to complain. You will learn a lot from complainers! This step will come very naturally with the more data you collect. Patterns of character and behaviour refer to any general way of interaction that a majority of your target audience have in common. Character similarities are also referred to as the demographics of your audience e.g. age groups, gender, occupation. Behaviours while interacting with your product or other similar products, are the ones you want to focus on e.g. frequency of visits, times of visits. One way that helps to recognize patterns and correlations is by using graphs to visualize your data. This is the step where you consolidate the data collected in the previous two steps and prepare a visual representation of each of your target audience groups which we will call Personas from now on. This visual representation will be your point of reference for each and every decision you take when designing your website, creating new features, removing features, creating content, removing content and (re)defining your business strategy. First, you will need to identify how many types of personas you need to focus on. Normally this is not going to be more than 5 or 6. As you may have noticed, the classification that you choose depends on two things: your business goals and the identified character pattern of your current or target audience. Your business goals will define what do you want to focus on, while the character pattern identified during your research phase tells you who is already your audience and who is not. Choose an image that feels like that character of your Personas. Write down on each card the characteristics and behaviours identified for each of them. Make sure that you keep a consistent format, it is always useful to have a template to follow. Don’t spend too much time on steps 1 and 2, this is just a bit of fun to help you remember and familiarize with your Personas and create a quick reference that you will be using in the future. You need to focus on step 3 using all the data collected before about each of these Personas. As you can see in the example above this does not require any fancy technology. Now if you are working with a team, you may want to have a digital version that you can share among team members. However, keeping the cards in a board that its always visible to everyone is the best approach. You get the point, the idea is to have them on sight at all times, no matter if you use a digital version or a printed copy. How do I use Personas? What can I do with these Personas? Now, that you have gone through the research it’s time to roll up your sleeves and do the dirty work. This is where most teams stumble. Not knowing what to do with the Personas is very common. Usually, a lot of time is spent defining these personas and in very few occasions people go back to their Personas as a point of reference for their design decisions. This just makes the whole exercise pretty pointless. 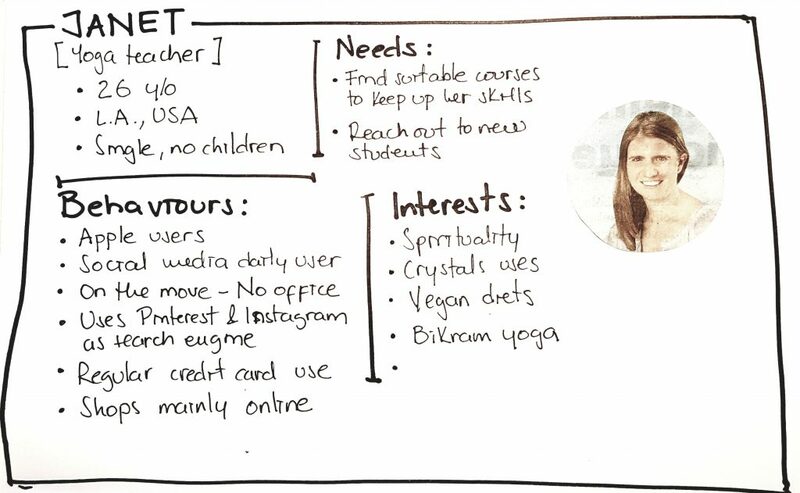 Personas should become your first point of reference whenever you need to know what your users need or behave like. Whether you need just a reminder or need to figure out missing information needed for your next project. There will be different stages during your product or website life that you will need to refer back to your personas, in order to target their needs and benefit your business. Whether you are creating a new product from scratch or adding new features to existing products, the focus should always be on which need is this new product/feature is solving. That’s where the profit and success will be. How many times have you been trapped into creating a new product or adding more fancy features to an existing one? How many of those times the features have really solved a problem and become a success? No need to answer. Some fancy guys from the Standish group have the answer for us. In addition to those two reasons, the next one will come to be related to the definition of requirements, which ultimately is pretty impossible without user involvement. So we go back to our user, to our Personas. When evaluating the need for a redesign, referring back to Personas will help you to see which pain points or user goals could or should be addressed and prioritized during the redesign. Sometimes, redesigns are executed as a response to new trends in the market. In which cases, you will need to evaluate the impact of such new trends to your specific audience. Is this new trend, something that concerns my regular user? Will this new trend affect the regular behaviour of my users? How this new trend will trigger new habits or create new needs for my users? In order to validate your new product idea, it would be necessary to understand the current status of the need to be solved. Is this really a true need of my target audience? Does this new product help me to reach additional target groups that could increase my audience? Finding the evolution of your Personas is absolutely necessary. Personas analysis is not an exercise that you do one time only. Like any other business strategy, it needs to be reviewed frequently. The recommended frequency would be about once a year, depending on the evolution of your products or services. The relaunch of one of your existing products is an opportunity to not only evaluate the product and possibly enhance it but also to evaluate how the product is doing with respect to your audience. Is this still a relevant product for my audience? Which other unidentified groups may be interested in this product? Are there any new needs, trends or behaviours that my product is not addressing? 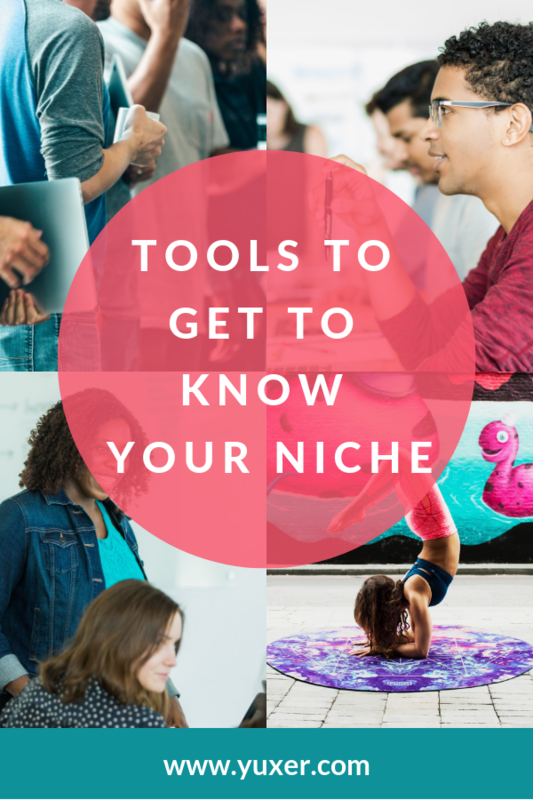 Which tools can help you find your target audience? Google analytics: You probably already know that this is a must-have. Most metrics categories will be available to perform an analysis of what is currently happening on your website. Facebook audience insights: This one gives you insights of potential audience groups present in Facebook. Give it a try if your audience is in this social media platform or could be. Useful in particular if you are planning or already running Facebook ads. 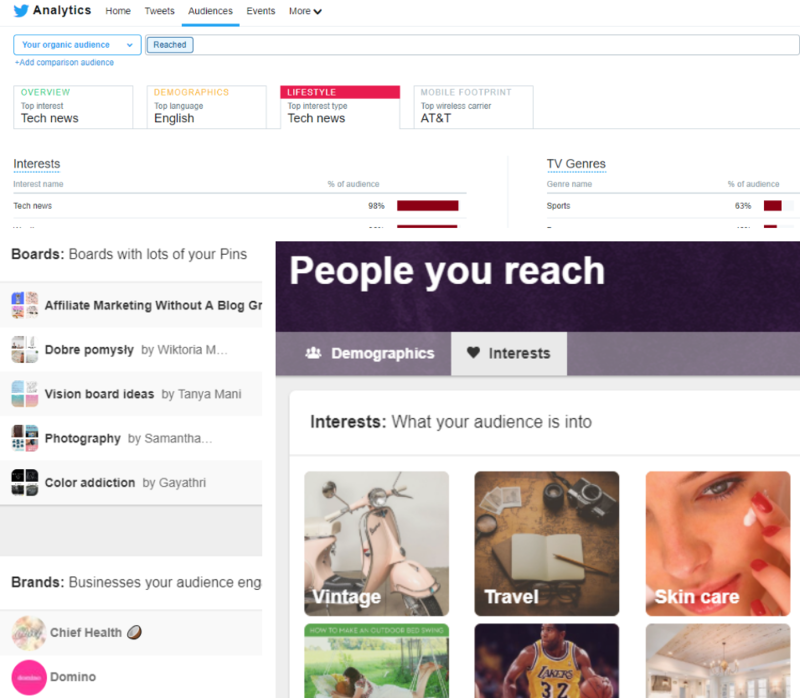 Twitter audience insights: Very useful for demographics if your audience is or may be on Twitter. Also allows you to compare audience groups, which is a pretty neat feature. Hotjar: One of our favourites. It shows you the behaviour of your audience on your website, literally shows you where they click, scroll or move. Hotjar also offers tools to collect feedback via surveys, polls, etc. If you want to know how your layout is doing and where are your visitors dropping out, this is a must-have. SurveyMonkey: It’s a great tool for surveys. It has all the necessary functions and is very easy to use. 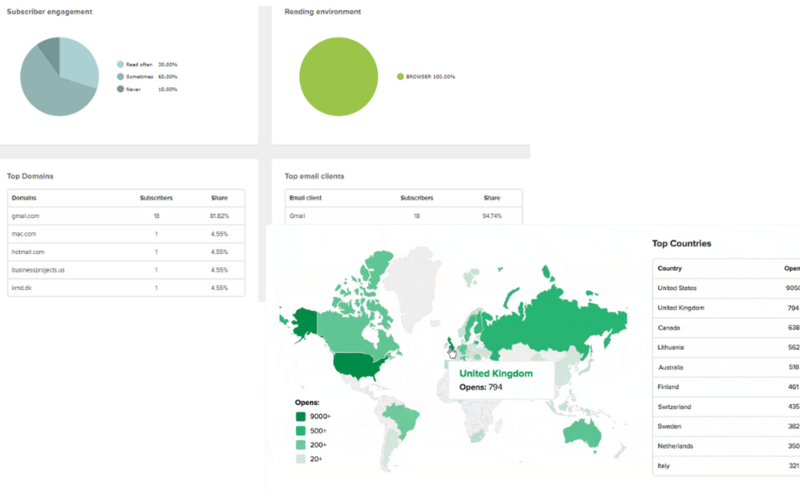 It not only offers survey tools but other audience analysis tools worth a try. Mailerlite: Email marketing tool that can manage your email campaigns and provide insights into your readers. So, let’s go back to your yoga business and website. We are going to assume, you already have a website but never have a look into how this fulfils your user’s needs. The first thing to do if you already have a live product is to check if all your Personas goals and behaviours are addressed by your product. For example, let’s take our yoga teacher Janet. Will they access my website on the go (mobile) or at home/office (desktop)? Some of these questions may seem too specific and you must be wondering how a survey or web metrics will provide you with such information. As mentioned before behaviour and demographics patterns could be initially identified from the data collected in your web metrics, the frequency of visits, location, devices used, age. Other aspects related to motivation and expectations could be initially derived from their interests. Social media is a great source to identify interests. However, the best option to get to know more about expectation and motivations is to have an open channel of communication. This is where surveys with open questions, forums of discussion and even user interviews come in handy. Interviewing representatives of your Personas is a great exercise and will give you a better overview of their entire profile. It may seem like a lot of work but especially with new products, this could be a really worthy exercise. Read more about user interviews. So, do you really need to analyze your target audience? If you have read this far, you may have an idea of why this is important and how this can bring value to your business or projects. The ultimate goal of having an online presence is to reach a specific audience and connect with them in exchange for some predefined benefit. This benefit could be to get your voice heard, to sell or promote a product or service or entertain people. Whatever your goal is, you won’t be able to achieve it if you don’t understand who are you reaching to and what would motivate them to listen to you. Products exist and survive in the market because there is a demand for them. Understanding where that demand comes from or could come from is key to your success. Most of us can easily fall into the trap of believing that we represent our audience, but that’s not 100% true. We may have a certain common interest with the audience that we are trying to reach but we can’t represent all the audience groups that we may want to reach. The only way possible to know whether somebody is going to be interested in your offer is getting to talk to them and getting to know them deeply. Personas are one of many tools that you can use to identify your audience and have a better understanding of their motivations, behaviours, challenges, restrictions, advantages, etc. However, identifying Personas alone cannot guarantee that your product or service is going to succeed. 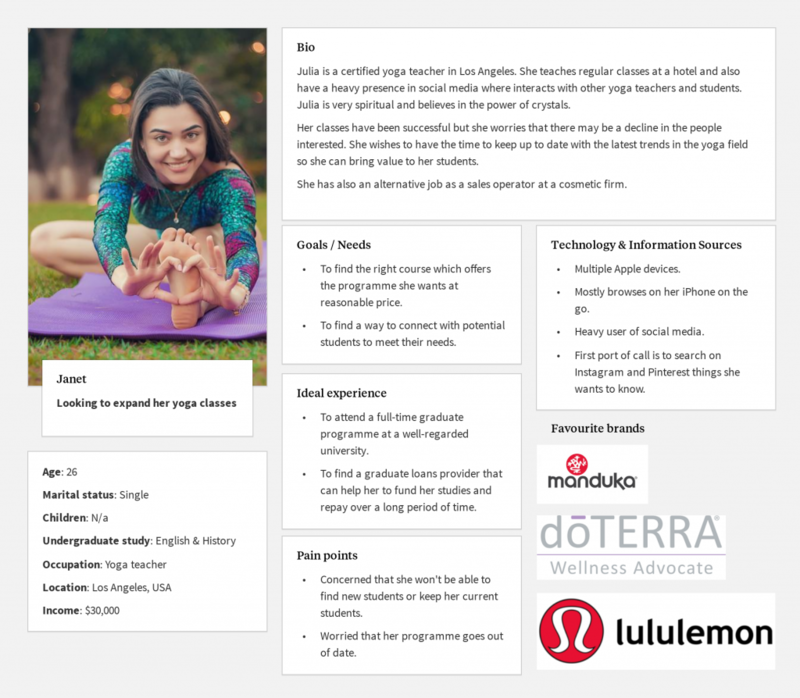 Using Personas on every design or business decision you make will get you closer to a more accurate version of your product getting your audience attention. Regardless of your current situation whether you are working on your own digital product or one for a client, consider to identify or review your target audience and refresh your Personas. Let us help you in the process. Send us your questions now! As a new blogger, this information is something I haven’t thought about yet although I know it’s important. I enjoyed this article and will refer back to it often! Thank you for putting this together! Being a crafter and mom blogger I thought I knew who my target audience is… but as I poll my followers it’s clear to see that it’s now more crafters then moms. Your article is great and I wish I would have read it when I had started my blog a month ago. This is so good. Loaded with fabulous information! Very new blogger here and very eager to learn all I can. Taking some time to get to know my audience now, for sure! Knowing my target audience is definitely something that I need to work on with my blog. I don’t do a great job at looking at my analytics. I am just happy to have ANY viewers most of the time! Thank you for your great tips! Thank you so much for such an in-depth post about finding your target audience. It is definitely challenging as a new blogger to figure out who my target audience is. I will definitely pin this post for later to refer back to in the future! This is fantastic advice. When I started my blog a little over a year ago, I had no idea who I was targeting. Now, I feel like I need to really look into a lot of the analytics you mentioned in this post, especially behaviour once they get to my site because as of right now, I can’t say I’m spending too much time doing this at all. Thank you for sharing! 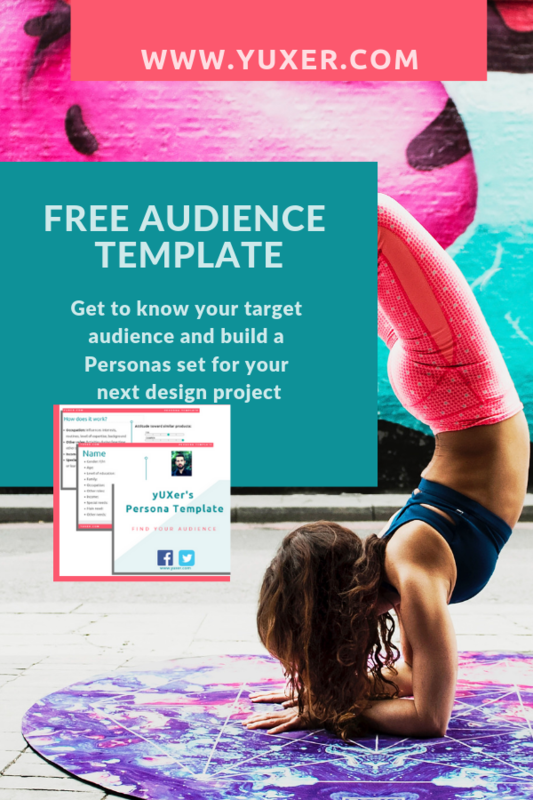 Don’t forget to get your Persona template to have a quick reference to your main target groups. As a new blogger, this was incredibly useful, especially in terms of identifying your audience. Great advice, thank you. Just starting my own site, so good information for me to bookmark for a little ways down the road. Jennie the time is now to start refining your audience. Don’t wait too long. These steps can definitely be applied even if your website is not ready and will give you a roadmap for tunning it. We have 2 businesses and while it seems counterintuitive, in the past 2 years, we have been attempting to figure out who are the people we think want to hear what it is that we naturally share. For decades, we had tried to do it the traditional way, but ended having success with things that we didn’t like doing. This time around, we will create and then search. While we know that this will take longer and require more trial and error, we are willing to do it this way. Plus, we are enjoying the process! Thanks for sharing great info. You are right it does take a bit of time to really fine-tune the process and get accurate results. But sure it’s fun! Very helpful and easy to understand. I’ve been working on trying to figure this out for the past weeks and now that I read this, I have a clear idea of how I need to do it. Thanks so much for sharing this information! Hey Yanitza! I’m glad you find it useful! Understanding your real audience is the first step to a successful business. If you want to discuss more on this topic or have any questions, let us know!! This is a great post. I have been trying to figure out who my target audience is for quite some time. Never thought about personas either. I’m going to also share this to get the word out because I think it is very important for anybody involved in the business to know who their audience is so that they are presenting to the right people. Right on spot, businesses need to understand who exactly are they attracting and who they need to attract. Let me know if you have any questions. This is super! Thank you so much for all the info! Very thorough information! Super helpful. Thank you. Do you know if you can do a survey through Mailerlite? At the moment Mailerlite doesn’t offer an option to have the survey as part of your emails. However, they offer the possibility of integration with getsitecontrol which is a tool for survey widget. It may not be as powerful as Survey monkey but it could be a start.